St. Clement's Island Museum and Piney Point Lighthouse Museum and Historic Park will open their doors free of charge to all Museum Day ticketholders on Saturday, September 22, as part of Smithsonian Magazine's 14th annual Museum Day. The event is a national celebration of boundless curiosity in which participating museums follow the free admission policy of the Smithsonian Institution's Washington DC-based museums. Museum Day represents a nationwide commitment to access, equity and inclusion. Over 250,000 people downloaded tickets for last year's event and Museum Day 2018 is expected to attract even more museumgoers. The theme of this year's Museum Day is Women Making History, honoring women in society who are trailblazers in the arts, sciences, innovation and culture and emboldening others to be pioneers as well. "Our museums have such a unique story to tell and being part of Smithsonian Magazine's Museum Day helps us to reach new audiences that may never have experienced our sites before due to a variety of circumstances." said Karen Stone, St. Mary's County Museum Manager. The St. Mary's County Museum Division was established by the Commissioners of St. Mary's County to collect, preserve, research and interpret the historic sites and artifacts which illustrate the natural and cultural histories of St. Mary's County and the Potomac River. With this as its charter, the Museum Division serves as a resource, liaison and community advocate for all St. Mary's County public and private cultural assets. The St. Mary's County Museum Division manages 94 acres of property and 4 historic sites, including the St. Clement's Island Museum; the Little Red Schoolhouse; the Piney Point Lighthouse, Museum and Historic Park; the Drayden African-American Schoolhouse; and the U-1105 Black Panther Shipwreck Preserve. The division also assists with the monitoring and maintenance of St. Clement's Island State Park and the U.S. Colored Troops Interpretive Center. Museum Day tickets are available for download at Smithsonian.com/MuseumDay. Visitors who present a Museum Day ticket will gain free admission for two at participating venues on September 22. One ticket is permitted per email address. A list of participating museums, which is continually updated as more museums continue to register, can be found at Smithsonian.com/MuseumDay/Search. More information about the event can be found at Smithsonian.com/MuseumDay. Registration is now open for those wishing to participate in the 43rd Annual Veterans Day Parade in Leonardtown. Floats, bands, schools, scouts, clubs, cheerleaders, bikes, vintage cars and horses are some of the entries which will be allowed to take part. The parade steps off at 10 a.m. on Sunday, November 11, from Ryken High School. The line of march then proceeds along Fenwick Street to the Leonardtown Town Square. The event provides an opportunity to honor our Veterans, take part in a proud tradition and promote your group. For more information or to request a 2018 Veterans Day Parade Entry Form, visit the Town of Leonardtown's website at leonardtown.somd.com/events/VetDay.pdf. Information regarding Parade guidelines are included with the form. Entries should be returned to Connie Pennington, Parade Organizer, by Friday, October 19. Entries received after October 19 will not be accepted. The Leonardtown Veterans Day Parade is sponsored by the Commissioners of St. Mary's County and the Commissioners of Leonardtown. 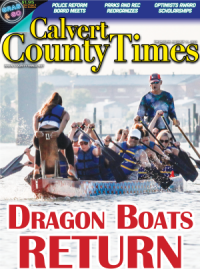 Leonardtown, MD—Moody's Investors Service, Fitch Ratings and S & P Global Ratings' have issued their credit opinions regarding the financial health of St. Mary's County Government. The reports note the county's "strong" financial position with respect to wealth and income levels. The review follows a visit by representatives of the rating agency where they met with county, business and community leaders. The visit allowed them to gain a better perspective on economic and business activities taking place in the county. The reviews come ahead of a planned bond sale of $30 million in General Obligation (GO) Consolidated Public Improvement Bonds, series 2018, scheduled for September 18, with closing scheduled for October 2. "The reports come as good news for the county as we prepare to sell bonds in September," said Commissioner President Randy Guy. "Low debt and strong financial management has allowed us to enjoy high credit ratings. Our mission will be to continue our strong fiscal management as we look toward an even brighter financial picture in the coming years." The St. Mary's County Emergency Services Board will hold its inaugural meeting on Wednesday, September 5, from 7—9 p.m. The meeting will take place in the commissioners meeting room inside the Chesapeake Building. The address is 41770 Baldridge Street, first floor, in Leonardtown. The meeting is open to the public. Former St. Mary's Gymnastics Academy (SMGA) USAG Level 9 gymnast Kandyce Blocker of Lexington Park, Maryland, will be the first Recreation and Parks collegiate gymnast. After two years with the Academy's competitive team, Kandyce has continued to hone and perfect her tumbling skills through private lessons with SMGA's coach Diane Picolo. While competing with SMGA, Kandyce's highest all-around score was a 35.00 at Maryland states. Her other achievements include a first place finish on floor at Maryland States, first place all-around at the Gingerbread Invitational and second place all-around at the Nation's Capital Cup. The Academy was excited to hear Kandyce will attend Fairmount University in West Virginia on an NCAA acrobatics and tumbling scholarship. She begins her collegiate competition schedule in February 2019. She will be missed by her teammates and coaches at the Gymnastics Academy. Alexis Zoss, LCSW-C, has been selected as the new Director of Social Services for St. Mary's County. 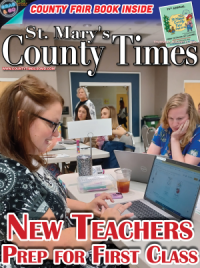 Ms. Zoss is no stranger to St. Mary's County. In June 2017, she rejoined the Social Services team as Assistant Director for Operations and CQI. From 1999—2007, she was Executive Director of the Mental Health Authority of St. Mary's County, Inc. She has also served as Assistant Director for Services from 1995—1999. Ms. Zoss has also served as Chief Assistant Director of Health and Human Services for El Dorado County as well as Deputy Director and Mental Health Substance Abuse Services Division Director for the City of Virginia Beach. Ms. Zoss has been a Licensed Clinical Social Worker since 1996 in the State of Maryland and Commonwealth of Virginia. "St. Mary's County is fortunate to have Alexis Zoss lead the Department of Social Services." said Commissioner President Randy Guy. "Her familiarity with the county and her vast experience will help lead the agency to future success. We welcome her and wish her the best of luck." Ms. Zoss received her Bachelor in Social Work from Radford College; Master of Science in Social Work from Norfolk State University and has completed Post-Graduate work in Social Policy at Virginia Commonwealth University. The St. Mary's County Museum Division has once again achieved accreditation by the American Alliance of Museums (AAM), the highest national recognition afforded the nation's museums, for all county-run historic sites. These include the St. Clement's Island Museum in Colton's Point, MD, the Piney Point Lighthouse Museum & Historic Park in Piney Point, MD, the Drayden African American Schoolhouse in Drayden, MD and the U-1105 Black Panther Historic Shipwreck Preserve in the Potomac off of Piney Point, MD. Accreditation signifies excellence to the museum community, governments, funders, outside agencies and museum patrons. St. Mary's County Museum Division sites were initially accredited in 1992. Museums must undergo a re accreditation review at least every 10 years to maintain accreditation status. The next review is slated for 2027. Alliance Accreditation brings national recognition to a museum for its commitment to excellence, accountability, high professional standards and continued institutional improvement. Developed and sustained by museum professionals for over 45 years, the Alliance's museum accreditation program is the field's primary vehicle for quality assurance, self-regulation and public accountability. It strengthens the museum profession by promoting practices which enable leaders to make informed decisions, allocate resources wisely and remain financially and ethically accountable to provide the best possible service to the public. "Being accredited by the American Alliance of Museums is like getting the 'Good Housekeeping Seal of Approval,'" says Karen Stone, St. Mary's County Museum Division Manager. "It demonstrates to the world we are doing things properly in caring for the collections and buildings entrusted to us by the public and shows other museums we will treat loaned objects with care. This accreditation proves the division to be worthy of that trust. I am very proud of this achievement, which took the help of many staff members and volunteers alike." seven currently accredited in Southern Maryland (Historic St. Mary's City and the Calvert Marine Museum being the others). There are only 23 total accredited sites in Maryland. Accreditation is a very rigorous but highly rewarding process which examines all aspects of a museum's operations. To earn accreditation a museum first must conduct a year of self-study and then undergo a site visit by a team of peer reviewers. AAM's Accreditation Commission, an independent and autonomous body of museum professionals, considers the self-study and visiting committee report to determine whether a museum should receive accreditation. "Accredited museums are a community of institutions that have chosen to hold themselves publicly accountable to excellence," said Laura L. Lott, Alliance president and CEO. "Accreditation is clearly a significant achievement, of which both the institutions and the communities they serve can be extremely proud." The St. Mary's County Museum Division was established by the St. Mary's County Board of County Commissioners to collect, preserve, research and interpret the historic sites and artifacts that illustrate the natural and cultural histories of St. Mary's County and the Potomac River. With this as its charter, the Museum Division serves as a resource, liaison and community advocate for all St. Mary's County public and private cultural assets. The St. Mary's County Museum Division manages 94 acres of property and 4 historic sites, including: St. Clement's Island Museum; the Little Red Schoolhouse; the Piney Point Lighthouse, Museum and Historic Park; the Drayden African-American Schoolhouse; and the U-1105 Black Panther Shipwreck Preserve. The Museum Division also assists with the monitoring and maintenance of St. Clement's Island State Park and the U.S. Colored Troops Interpretive Center.